S.J. Cigar Co. was founded in 1996. Our original location at 524 S. 3rd St. in Philadelphia is conveniently located in the Society Hill neighborhood, a prestigious residential and tourist location. S.J. Cigars has always been rated as one of the best stores in the Philadelphia area by local magazines for being the best in customer service and quality products. In 2002, we opened our second location also located in a very prestigious neighborhood in the Main Line. Today, it features a plush cigar lounge where our guests and friends can mingle, smoke, and enjoy themselves. In 2003, S.J. Cigars Main Line was voted as the best tobacconist by the Main Line Times. Please try for yourself and stop by our store or visit us online for the best customer service and for many exclusive products made by the finest factories and available only at the finest tobacconists. On Jan. 2nd, 2007, we opened our third location in Springfield, Delaware county. in 2011, SJ Springfield received the "Best of Springfield" award for outstanding local business. 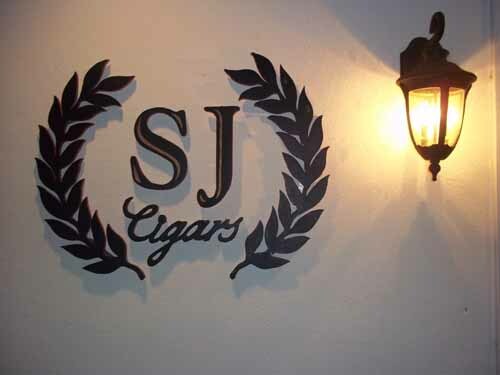 SJ Springfield also features a newly-installed cigar lounge for our guests' smoking pleasure.